Home/Blog, books, Friends of the Library, Friends of the Virginia Public Library, Library Programs, reading, Virginia Public Library, VPL, Winter Reading Program/Hot Reads for Cold Nights! 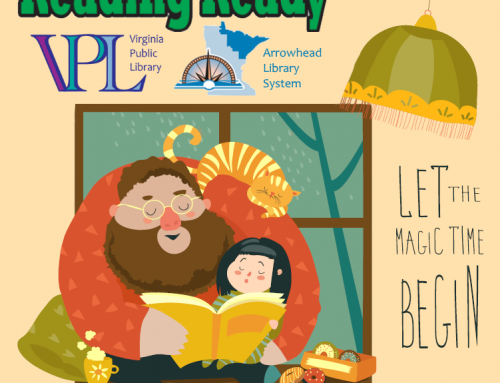 When the weather is cold, it’s time to find a hot read and join Virginia Public Library’s annual “Hot Reads for Cold Nights” reading program. This is the 17th year that “Hot Reads for Cold Nights” is being sponsored by the Friends of Virginia Public Library. Area residents over 18 are invited to register in the library or online to participate. To register online, click on this link and select the Hot Reads program. This program is designed to promote reading for adults since reading is equally important for all ages. Each book read during the program will earn one entry in a big giveaway on February 27th. Participants must visit the library to check out library books and submit their entries. Hot Reads Tuesdays will continue on Tuesday mornings from 10:00-12:00. Each week, members of the Friends of the Library will provide coffee and bakery to area readers. This is a great time to find out about new books and visit with your neighbors. The Hot Reads celebration continues with the launch of the 2015 Winter Brown Bag Lunch Series beginning on January 15that noon with “Travels and Tribulations” by Melody Swenson and Coach Bob McDonald. On January 29th, Paul Niemisto will present “Cornets and Pickaxes” a presentation on Iron Range brass bands. This year’s Book Lover’s Tea on February 12th will feature celebrated author/artist Chris Monroe. Please note: Advanced registration for the tea is essential! Reservations must be made by Feb. 6th. For more information on these events and more, visit the event calendar at www.virginia.lib.mn.us or call 748-7525.